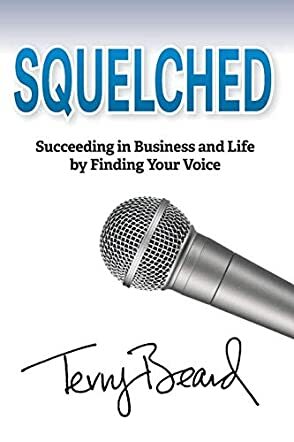 Squelched: Succeeding in Business and Life by Finding Your Voice by Terry Beard explores themes of self-worth, self-confidence, and how to create a positive impact by finding one’s unique voice and having the courage to use it. In the beginning, the author states that: “When we don't feel good about ourselves, we have a difficult time standing up in front of others and withstanding the prospect of being judged and possibly found wanting.” And this is a powerful observation that reflects the reality of what is going on in many lives. The world is a noisy place and it finds myriad ways to hush us, making us feel as if our voice doesn’t matter or that it is not strong enough to make a difference. In this book, the author takes readers on a personal journey through the path of a voice lost and found, and offers relevant and helpful tips on how to identify and claim one’s unique voice. But this book is more than that! The book reads both like a memoir of the author’s adventures and travels while in the army and an inspirational narrative on finding one’s path, a journey towards reclaiming one’s voice. The tone is clear, and even though readers might occasionally find expressions that are awkward, the author’s voice comes out robustly and confidently. The author makes this book an enjoyable read by weaving personal history and real life experiences into it. The insightful passages are strong enough to compel readers to think about themselves, to consider ways in which they have been discouraged from accepting and using their unique voice, and how to find the courage to stand up for themselves. Squelched: Succeeding in Business and Life by Finding Your Voice is a thoughtfully written book with a powerful message and offers a path that, once travelled, will surely lead readers to a place in their heart where they will find the courage to be what they are meant to be.